Dr. Krost gives to the community his time and money. He financially supports local causes and youth programs " I am all about Helping others in need". 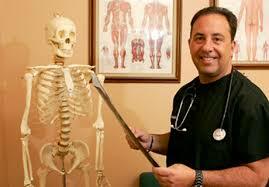 He is board certified by the American Board of Physical Medicine and Rehabilitation. Patients visit him for a variety of reasons including, spondylolysis, spinal muscular atrophy (SMA), spasticity, fibromyalgia. Epidural steroid injections are a procedure to place medication both antiinflammatory as well as anesthetic in the epidural space. The epidural space is located within the spine around the spinal cord and nerve roots. The goal of epidural injections is diagnostic and therapeutic. Epidural injections can relieve pain that is generating from disc herniations as well as irritated or pinched nerve roots. These procedures are performed under fluoroscopic guidance. Facet blocks are performed under fluoroscopic guidance and can be diagnostic and therapeutic. Injections are performed at the facet joint or the medial branch nerve. Improvement after this type of injection would be diagnostic for facet joint related pain. Facet rhizotomy is a long acting facet block either done chemically or with thermal heat. This procedure is indicated if the patient does receive benefits from the facet block, however does not offer prolonged relief. This procedure is done in the neck, anesthetic blockade is performed at the stellate ganglion. The goal of this procedure is for blockade of the sympathetic chain. This is diagnostic and therapeutic for evaluation and treatment of RSD. Lumbar sympathetic block is performed about the lumbar area. The goal of this procedure is for blockade of the sympathetic chain. This would be diagnostic and therapeutic for evaluation and treatment of RSD. A discogram was performed for diagnostic purposes to identify pain if a pathologic disc is acting as a pain generator. An IDET procedure is a procedure done for a pathologic disc usually with annular tear that has been identified as a pain generator. The goal of procedure is to destroy sensory nerve endings that are transmitting painful signal. The ultimate goal is to relieve pain from discogenic pathology. This is a minimally invasive procedure for treatment of a herniated disc. This is a procedure that could be done in an outpatient setting under fluoroscopic guidance to remove herniated disc material. The ultimate goal is to relieve pressure on the exiting nerve root as well as relieve pain. Botox is a long acting treatment for muscular pain. Botox acts locally at the injection site to relieve muscle spasm and to relieve pain. Benefits of this can last up to three to six months. This is also used for intractable headaches that do not respond to more conservative measures. Occipital nerve is located in the back of the neck at the junction of the head. Occipital entrapments can occur with underlying spasm commonly causing occipital headaches. This can subsequently produce symptoms radiating to the top of the head as well as in back of the eyes. Occipital blocks can be diagnostic and therapeutic for occipital neuralgia/occipital headaches. Electrodiagnostic studies are a diagnostic procedure to assess underlying neuropathic problems. EMG/NCS can be diagnostic for cervical or lumbar radiculopathy/pinched nerve, neuropathy or distal nerve entrapment such as carpal tunnel syndrome. EMG/NCS can be helpful in determining acute versus chronic conditions and identify neuropathic recovery. EMG/NCS are commonly used in conjunction with MRIs to correlate anatomical findings and neuropathic function. Future care needs and life care planning are based on physical impairments as well as functional disabilities. This plan can outline what a patient will need in the future in terms of active and passive treatments, durable medical equipments, medical care medication as well as interventional injections and surgery. Costs can be included in a life care plan. A physiatrist/physical medicine rehabilitation specialist is a specialty of identifying physical impairments and how those physical impairments result in physical disabilities and subsequent handicap. A physical medicine rehabilitation specialist specializes in the neuromuscular and skeletal system to identify physical impairments and functional disabilities. A disability evaluation may lead to conclusions of physical restrictions as well as compensatory strategies to maximize functional independence. A sphenopalatine ganglion block (SPG) is performed with a cotton tip probe with saturation of anesthetic at the SPG ganglion, which is located in the posterior aspect of the nose. This procedure is commonly used in relieving headaches as well as an adjuvant for pain management. Functional capacity evaluation is an assessment of physical function to identify physical capacity within safe parameters to prevent injury. When managing the patient with opioids, it is important to establish the differences among physical dependence, tolerance and addiction. The American Society of Addiction Medicine as well as the American Pain Society and American Academy of Pain Management define physical dependence as a state of adaption that is manifested by a drug class for which specific withdrawal syndrome can be produced by abrupt cessation, rapid dose reduction, decreasing blood levels of the drug, and/or administration of an antagonist. Tolerance, however, refers to a state of adaption in which exposure to a drug induces changes that result in diminution of one or more of the drug effects over time. Neither dependence or tolerance in and of itself is indicative of addiction. Addiction is defined by the American Academy of Pain Management and American Pain Society as well as the American Society of Addiction Medicine as a primary chronic, neurobiological disease, with genetic, psychosocial, and environmental factors influencing its development and manifestations. It is characterized by behaviors that include one or more of the following: Impaired control over drug use, compulsive use, continued use despite harm, and cravings. Abuse, however, is generally characterized by conscious, often psychosocial motivated use of illicit substances and medication outside the scope of usual medical practices, but the patient has the ability to stop the drug when harmed. Addicts, however, cannot stop use despite harm. The majority of legitimate pain patients do not develop an addiction to their analgesic medication. There is a biological normal phenomenon to develop issues related to tolerance and dependence. It is the physician’s responsibility to address issues related to tolerance and dependence by monitoring patients carefully on a regular basis and adjust medication accordingly to avoid sequelae of tolerance as well as dependence. Dictated but not proof read. 9220 SW 72nd St. Bldg. 7, Suite 106/107, Miami, Florida.